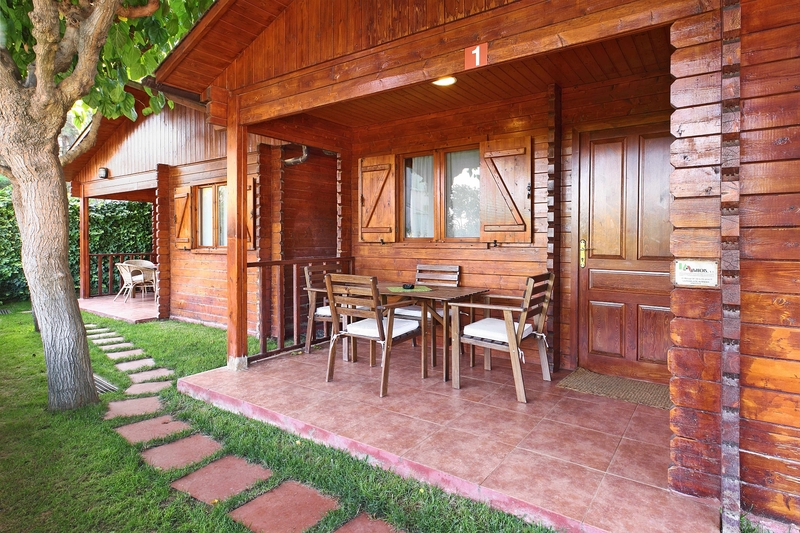 Comfortable wood houses, all located in an exclusive area. With air-conditioner and free wifi. Bungalow of 36 m2 distributed in 2 bedrooms, one with double bed (160×200) and one with 3 beds(80×190), a fully equipped bathroom, a large dining/living room with kitchen and also a covered terrace with garden furniture. Electricity, hot and cold water, weekly change of sheets and towels are included in the price.Beds made on the arrival and free end-of-stay cleaning.